2017 Cupcake Wars was a Sweet Success! 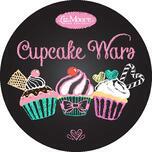 Thank you to all who helped make this year's Cupcake Wars fundraiser the most successful yet!! In just four hours we had 2,354 cupcakes donated and raised a total of $5,800 for CHKD and Comfort Zone Camp! Cupcake Wars is an annual fundraiser for Liz Moore and Associates, so be on the look out for when the 2018 date is announced! CHKD and Comfort Zone Camp...just another reason why we love where we live!